Cost-effective, extremely versatile and convenient this is the new WAVE DISC leading cultivation tool system for seedbed preparation. In dry regions or in wet areas all the WAVE DISC's advantages come into play to make it the perfect example for reduced soil cultivation while increasing yield. Completely in-line with low disturbance, smart soil cultivation practises. WAVE DISC is available for TERRASEM R3 and R4 as well as TERRASEM C4, C6, C8 and C9 seed drills and all models with direct fertilisation. Low disturbance (reduced surface cultivation) in dry regions, in order to move the soil as little as possible and reduce evaporation. In wet areas the damp soil can only be moved very slightly in order to prevent smearing at seed slot level. Low disturbance for grass weeds resistant to herbicide applications. Sowing early while the soil is still very wet. The WAVE DISC cultivates the soil in water-saving strips: only the band either side of the seed slot approx. 50 mm wide is disturbed, the rest of the surface remains untouched, providing effective reduction in evaporation. Moisture levels are retained by the uncultivated soil. At the same time reducing the cultivation area to strips protects against erosion. In addition, sufficient tilth remains for plants to develop perfectly during the germination stage. 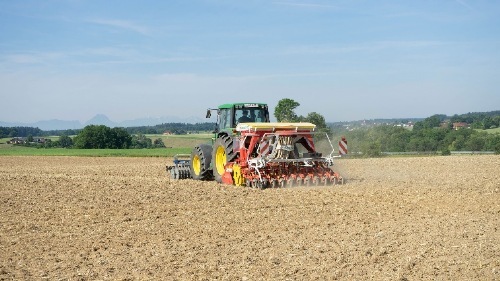 Wet or waterlogged soil should be moved as little as possible because in these conditions smearing can easily take place at the seed slot level that prevents effective drilling. This problem occurs especially in locations with wet soil such as black soils in the spring or waterlogged soils with limited surface drying. 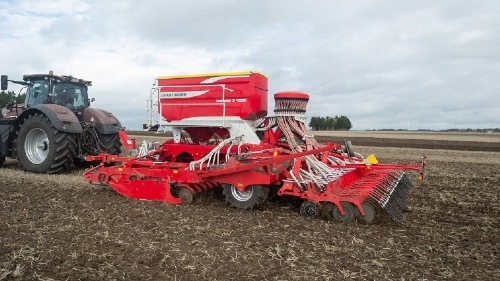 In these situations it is important that no deep cultivation equipment is used below seed slot level. The WAVE DISC does not penetrate the lower soil structure and does not move the soil to the side. That is why smearing does not take place and the seed can be perfectly placed in the loosened strips. 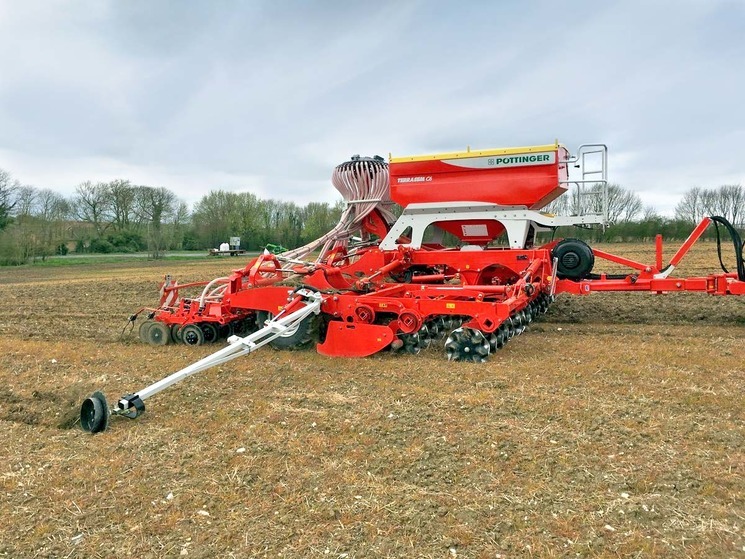 WAVE DISC expands the drilling possibilities by making it possible to sow seed in waterlogged soil successfully and bring forward the drilling time. As a result, unlike conventional concave discs, the WAVE DISC offers a clear advantage in heavy, damp soil conditions by making it possible to drill seed in borderline conditions. Additionally each day earlier that you are able to sow brings the advantage of an increase in yield. Structure-conserving cultivation of the soil makes a considerable contribution to reducing erosion by the wind. That is due to the minimised cultivation leaving behind a lower percentage of loosened soil and a smaller cultivated area overall. This makes it more difficult for fine soil particles to be transported by the wind. In the case of heavy rainfall there is the additional advantage that low disturbance tillage causes less ponding and capping. In addition the WAVE DISC is a tool for regions where a resistance to herbicides is present. High resistance means that more seeds need to be planted in the slot to suppress weed growth. Low disturbance cultivation reduces the germination trigger of weeds and suppresses vernalisation, even in areas with black grass. This method brings the rows under control during spring planting, even in regions with extreme resistance to herbicides. 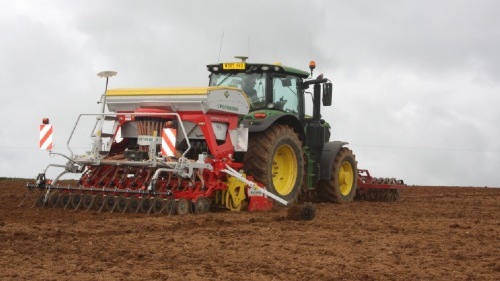 For autumn planting the WAVE DISC is recommended for cultivating areas after preparing a stale seedbed and reducing the tillage intensity of the leading tools to a minimum. This system can also lead to a later planting date (with the risk of autumn development) although the problem of light-dependent germination is reduced. The minimised soil movement leaves no cavities or clods in the cultivated area, creating poor germination conditions for weeds, especially light dependent germinating weeds such as black grass, wild oats and brome. Because there are no cavities or clods, the possibility for slugs to breed is greatly reduced. The cultivated strips warm up faster than the undisturbed areas in between. Consequently differences in development can be expected between the planted crop and the weeds, giving the planted crop a clear head start (especially in spring). The weeds in between have a rough structure by comparison, delayed warming and poor conditions for germination. Harvest residues in the soil are undergoing a decomposition process that extracts nutrients from the soil. However, because the harvest residues are only moved in the strips contacted by the WAVE DISC, the areas between the strips can make water and nutrients available to the crop for longer. Again, this has a positive influence on the plants since they already have a head start over the weeds and their roots grow intuitively into the zone between the rows without giving the weeds a chance. This means that prior cultivation with WAVE DISC promotes young plant development. Strong plant development and faster growth also ensure that herbicide measures are more successful. Resultantly harvest yield is better than ever. Thanks to the reduced cultivation intensity where no continuous full surface soil movement is necessary, but only narrow loosening in 45mm wide strips is required significant tractor power can be saved. Using a row spacing of 12.5 cm only around 36 percent of the entire surface is cultivated, while at 16.7 cm it is only 27 percent. The lower draft and resulting (up to) 15 percent reduction in power requirement is translated into correspondingly lower diesel consumption. The WAVE DISCs have a diameter of 510 mm and are available with row spacings of 12.5 cm or 16.7 cm, which ensure improved clearance and blockage free work. The working depth is infinitely adjusted by a hydraulic system. As a result it is easy and convenient to regulate the depth in each zone, e.g. at the headland where the soil may be compacted. Each disc unit is equipped with NONSTOP overload protection: the rubber-element mountings feature a mechanical overload trip for up to 100 kg per disc. The WAVE DISC units are 100 percent maintenance-free. That is pure convenience. A row spacing of 12.5 cm is especially suitable for high-yield locations with homogenous soil properties. The increased rows (17% more) create better protection for the individual plants. The theoretical seed spacing in the slot is reduced to increase ground cover and reduce weeds. A row spacing of 16.7 cm is recommended for damp soil conditions, heavy soil with a high clay content and very rough structure as well as where there are high quantities of harvest trash residues (the WAVE DISC provides plenty of clearance).